Yahoo Messenger Is Dead, Long Live Squirrel! Verizon paid billions last year for the privilege of ushering Yahoo’s services into the great unknown and on Friday it announced that Yahoo Messenger will bite the dust on July 17. Yahoo’s new messaging service, Squirrel, is currently in private beta, but there’s no direct replacement for Messenger at this time. You have six months to back up your old messages. Messenger, like many Yahoo products, was a pioneering service that was later overwhelmed by competitors. Everyone wants to dominate the messaging industry these days; it’s a market that counts more than 5 billion monthly active users. Google is simply addicted to launching new attempts at gaining an edge in messaging. Yahoo hasn’t reported the number of people who still use its Messenger service for quite some time, but with users looking to services like WhatsApp and Telegram for a more secure experience, it’s easy to see why Yahoo probably isn’t the company that’s going to win this fight. In its announcement, Yahoo writes that users will no longer be able to access the service or any of its apps after July 17. Yahoo IDs will not be affected and you can download your Messenger history at this link for the next six months. Yahoo Messenger is so old, its original name was Yahoo Pager. For anyone who’s been on the service since the old days, that history archive could be filled with years of cringe-worthy memories. And there may be more people who still use it than we think. Bloomberg reported in 2016 that the app has been the go-to communication system for commodities traders around the globe for 18 years. 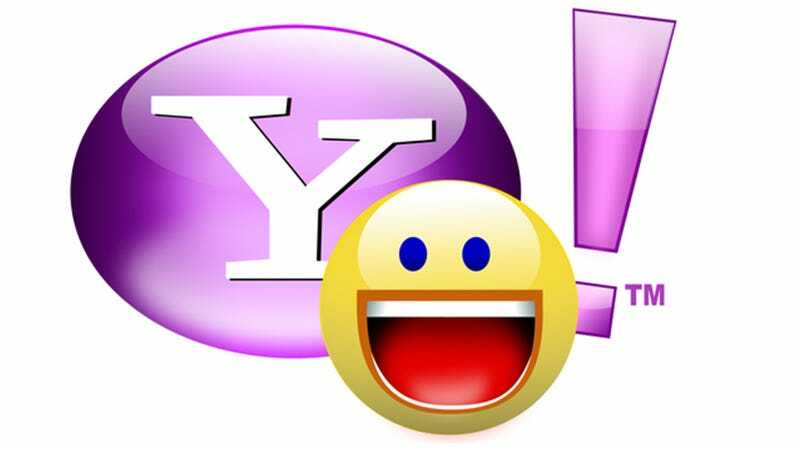 Aside from habit, it’s hard to see why anyone would prefer Yahoo Messenger. In its 2014 Secure Messaging Scorecard, the EFF gave the service acceptable marks in only one of seven categories. (AIM received the same score and Verizon killed that service last year.) Messenger was also a portal to Yahoo’s chat rooms where a report in 2007 found that 75 percent of users were bots. Squirrel is an invite-only group messaging service that’s still in beta. It’s basically Slack for friends and family. Of course, you can use Slack for friends and family if you want. Or you could use Facebook Messenger, or iMessage, or a million other options. But Squirrel has a cute Squirrel mascot and you have to request an invite to use it. The death of Messenger comes on the same day that Verizon’s CEO Lowell McAdam announced that he’ll retire and Hans Vestberg will be his replacement. Coincidence? Absolutely. But neither McAdam nor Messenger have been good at their jobs for a long time. It’s now the age of Vestberg and Squirrel, may they have prosperous tenures before Yahoo finally shuts it all down.